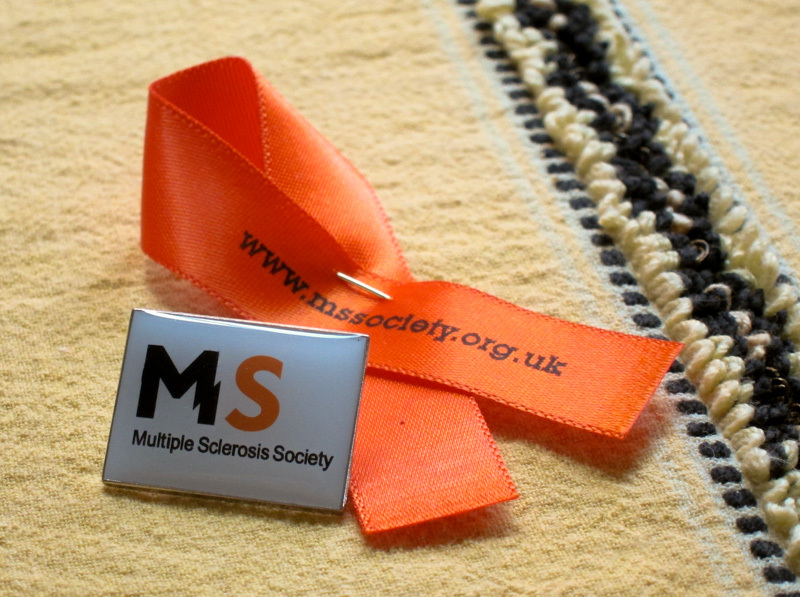 Last weekend I went to a charity coffee morning, dedicated to the MS Society. Everyone had a slice of cake and enjoyed a lovely cup of coffee or tea. When I had to think of what dessert to make and bring over, I figured everyone likes vanilla and berries, so I went ahead and made a delicious combo of these two ingredients. The cake by itself is amazingly delicious but when topped with the crumb topping it's definitely taken to the next level!! 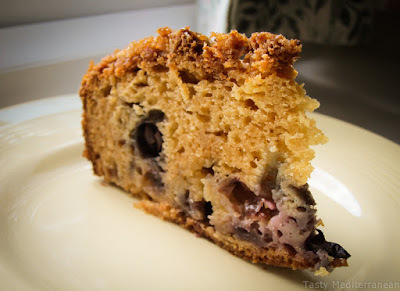 The crunchiness of the topping goes really well with the moist cake, which is perfect when enjoying it with a cup of coffee. All I can say is that this was an absolute winner and people kept coming for more. Make it the next time you have visitors over... I promise you won't regret it!! - Preheat your oven to 190 C degrees and grease a spring form pan. - In a bowl mix the flour, baking powder, baking soda and salt. Set aside. - Take two tbs of this mixture and toss with the blueberries to ensure they stay all over the cake, otherwise they'll drown to the bottom. Then, set aside. - In another bowl mix the butter, sugar, eggs, milk, sour cream and vanilla extract. - Add the dry to the wet ingredients, mix well and then carefully fold in the blueberries. Pour this mixture in the greased pan and set aside. 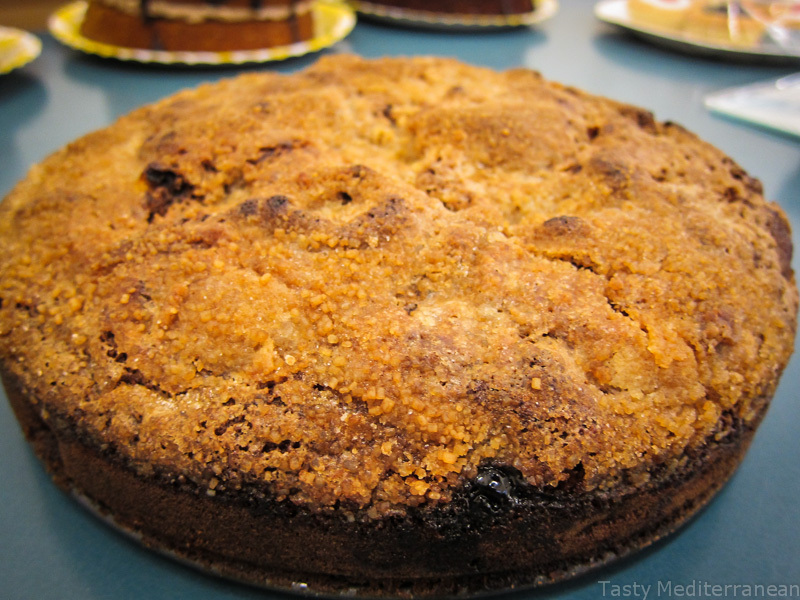 - In a small bowl, add all the crumb topping ingredients and mix them well together. Sprinkle on top of the cake batter. Bake for 60min, let cool completely end enjoy!